After reading pretty much the entire CBD Pure site, and also about a hundred other blog posts and articles on the health benefits of CBD, nothing really prepared me for the feeling of putting a half dropper full of this hemp oil under my tongue for – as the experts recommended – “as long as I can”. I tried CBD oil and I’ve never even tried cannabis . . .
Getting on the internet with it’s flashy product ads, its LOL cute animal videos and its seemingly endless ticker tape of information really doesn’t do much for that moment when you’re actually about to try something new in real life. Yes, I’ve made the decision, parted with way too much money, waited for the item to ship and now I’m holding it in my hand. But all of a sudden I’m back to the first moment when I started researching CBDs – at least emotionally. I stare at the bottle for a sec, then quickly remember all the real life people who have had CBD really help them with their health. CBD Pure is a company that backs it’s CBD oil so strongly that it is the only thing it sells. There are just 3 ‘Buy Now’ buttons on the site and they are for pure, organic, industrial hemp from Denmark with different ranges of CBD content – 100, 300 and 600mg. This company takes its quality seriously, using a “ chemical-free CO2 extraction process that uses pressurized carbon dioxide to pull the desired phytochemicals (such as CBD) from a plant”. In a process that uses no harsh chemicals, they describe their CO2 extraction process as “environmentally friendly and non-toxic” as it is the priciest, and safest method there is. Their website was well formed, and my questions were quickly answered by the live chat representative. She assured me that their 90 day money back guarantee was, in fact, really a policy where one can send back empties 2 months in and get a full refund. Along with a great photo testimonial page from customers with very diverse ailments, I gained a lot of faith in this company and what they are doing . So, there was a funny moment after I dropped the oil under my tongue. While feeling really excited and accomplished having put my fears aside, I was faced by a humbling realization. I realized that the stuff was oil. I then realized that I forgot to prepare my mouth for oil. It is a ‘smh’ moment completely – but putting that much oil in your mouth feels just weird and I did have to really compose myself in order to not get really grossed out. But besides those 13 seconds of mind-bending roller coaster thoughts and emotions, the stuff didn’t taste bad – just different. There was a tiny earthy tree taste, but the taste of pure oil was more overpowering for me. By the end of the minute, it all felt pretty normal to me and I couldn’t wait to feel how my day would go after consuming my daily CBD serving of 20mg. The day turned out great! I felt light, but not high. My daily aches and stiffness from my normal day job were noticeably gone, but it didn’t feel like they were “covered up” somehow as sometimes happens when I’ve taken prescriptions for my old back issues. I did wish they sold a vape friendly oil. Vaping, for me, is not my preferred method of consuming CBD and if CBD Pure made one I would definitely purchase it. This brings me to one of my only other complaints about the company which is that they don’t have a range of products beyond the oil. Backed by testing from SC Labs, a renowned third party tester who is affiliated by cannabis giants, WeedMaps and the California Cannabis Industry Association , CBD Pure makes sure to provide transparency. Their certificate of analysis is completely viewable on the front page of their site . 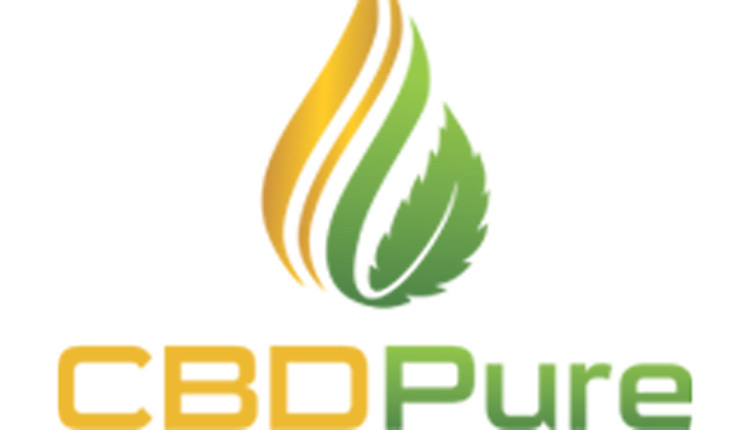 CBD Pure is a solid contender in the CBD product ring of sites all fighting for your money and your customer trust. All in all, PureGreenLiving feels they deserve it!